Henry Carpenter (Jaeden Lieberher, the kid from Midnight Special) is a tween super-genius who lives with his little brother Peter (Jacob Tremblay, the kid from Room) and their mom, Susan (Naomi Watts), in a big house in the fictional small town of Calvary, New York. The Carpenters are independently wealthy thanks to Henry’s secret adventures in stock trading, but Susan has insisted on keeping her job as a waitress at the local diner and refuses to trade up their dented ’80s Volvo station wagon, leaving her boss to wonder how someone in her income bracket can afford to live next door to Glenn Sickleman (Dean Norris), the tetchy widower and police commissioner whose family runs local politics. Every evening, Susan parks on the couch to pew-pew-pew on her Xbox and slurp wine while Henry does the bills from his office desk. Besides the Rube Goldberg machines in his tree fort, Henry’s main hobby is devising the perfect murder of Mr. Sickleman, whom the tape-recording-toting whiz kid suspects of molesting his stepdaughter, Christina (Maddie Ziegler, the dancer from those Sia videos). 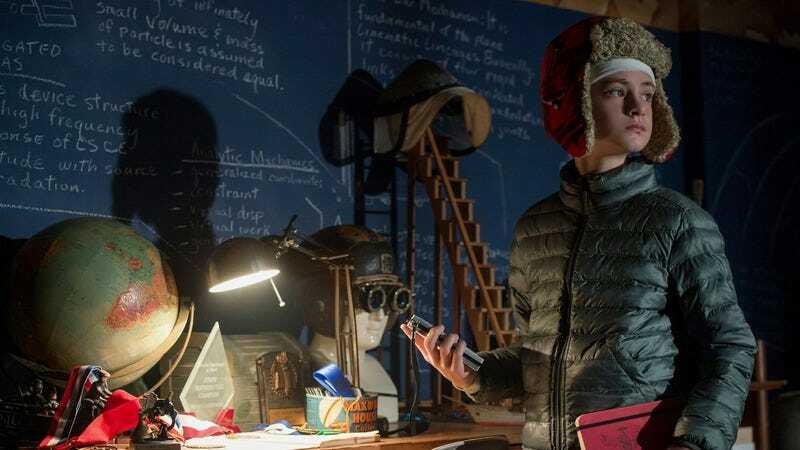 Despite a semi-inspired twist that our present culture of acute spoiler-phobia will not permit this review to divulge, The Book Of Henry never treats its title character as anything but an übermensch (or should that be überkind? ), which is less provocative than it might sound. Plus, director Colin Trevorrow (Jurassic World, Safety Not Guaranteed) lacks any of the eccentricities that might make this quirky and contrived material work, even at face value. He’s a protean slickster with decent taste in casting; the younger actors are uniformly good, as are Watts and Sarah Silverman, who plays Susan’s brassy best friend. But suspense—generally thought of as a matter of putting characters in compromising situations—isn’t this movie’s strong suit. Sickleman is a glowering, one-note non-character; as for the matter of his guilt, we (and Susan) just have to take Henry’s word for it. There is a black comedy lying dormant somewhere in this story of an 11-year-old who thinks he’s enlightened enough to take the law into his own hands and of the parent who has to believe that everything her son does is right. But what Trevorrow and screenwriter Gregg Hurwitz have created is just a feature-length put-on that flirts queasily with fascism. It’s a type of fascism that comes easily to teens and kids, especially those who’ve been given reasons to believe that they’re special and to think that the grown-up world is ineffectual. The Book Of Henry isn’t out to subvert that. It’s too enamored with the idea of a child tossing out a studio executive’s idea of 10-dollar words to give Henry or Susan much in the way of an internal conflict beyond their inverted parent-child dynamic. But though the movie has absolutely nothing to say about parent-child relationships, moral high grounds, or wish-fulfillment fantasies (whether financial or violent), its above-average performances and insistence on following through on an off-beat premise give it a hint of battiness, exemplified by the finale, which intercuts a child-planned assassination attempt with one of those talent shows that Hollywood comedies and dramedies have taught us must be the climax of any movie about teachers or parents of school-age children. 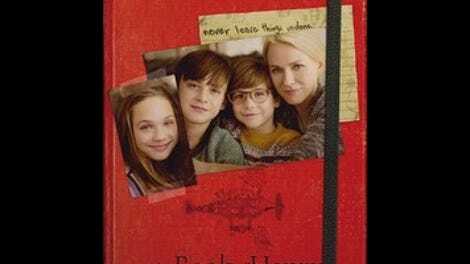 For thoughts on, and a place to discuss, plot details we can’t reveal in this review, visit The Book Of Henry’s Spoiler Space.